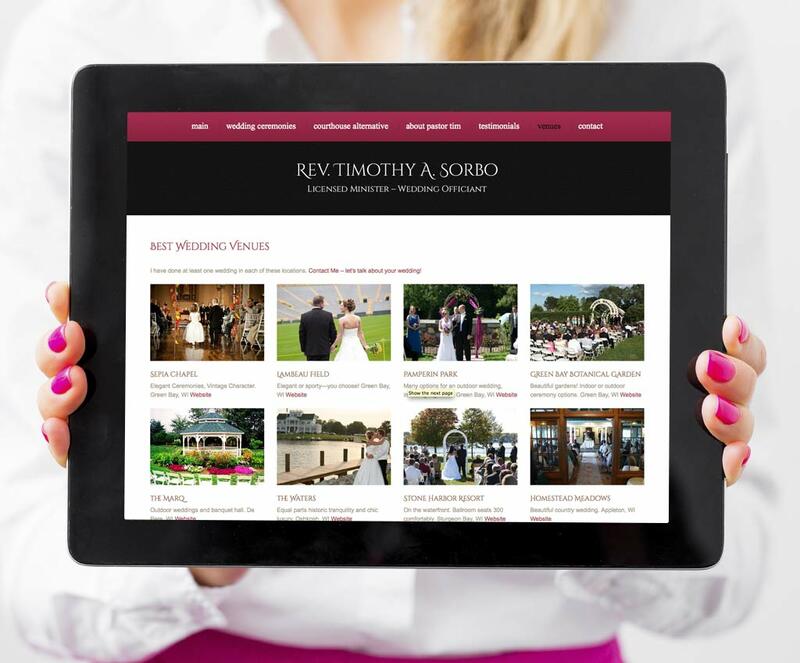 We designed and developed Tim Sorbo’s online presence through a responsive website and social media to help market his wedding officiant services. 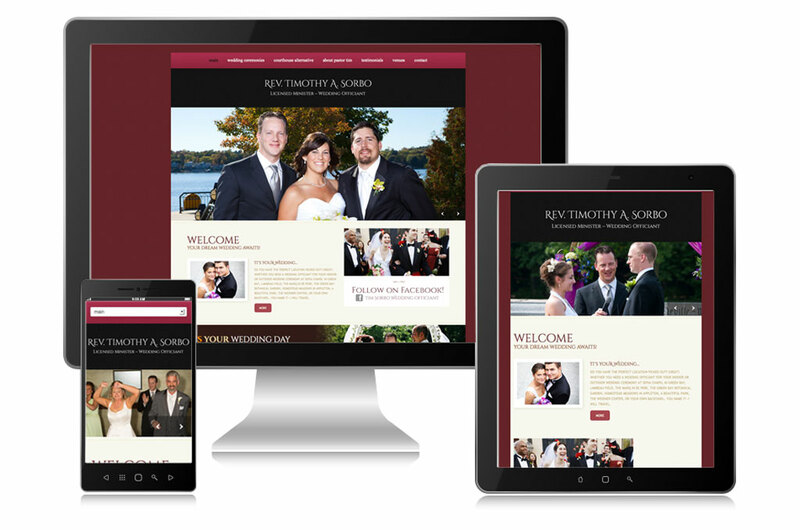 Responsive sites are designed and developed to adapt to different screen sizes. With more and more people surfing the web on tablets and phones, responsive design gives your visitors the best possible website experience on smaller devices by incorporating larger text, and easy to click links. By incorporating organic (vs. paid) search engine optimization (SEO) through website content, Tim Sorbo shows up at the top of Google search results for Green Bay wedding officiants. Interactive Web Design Services: Responsive website design and development, SEO, social media development.